Skipping Rope Reviews Archives - Buy Speed Ropes | Skipping Ropes | Jump Ropes for Crossfit, Boxing, MMA. Right then people lets talk about what the best skipping rope is. Once you have decided which pair of trainers you will buy for your visit to the local box we can help you with which is the best skipping rope. 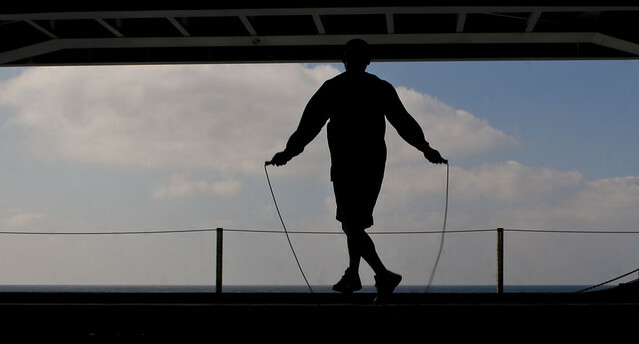 Your skipping rope, jump rope, or speed rope will become your new best friend. You’ll find you will be taking it everywhere with you, to every box, every workout an even on holiday with you. Everyone will have a best skipping rope for crossfit, and these skipping ropes will be what works best for that athlete, indiviual or crossfitter. You must remember that one rope that works well for one person may not be ideal for the next person. There is no “one size fits all” solution. First things first, you will need to get a rope to fit your size/height and ability. In terms of setting up the rope length to suit you, we have a number of resources on this site, simply search for “what length should my skipping rope be”. If the link isn’t work all you need to do is a simple google source and there will be more than enough information to help you on your way. Another thing to take into consideration, is what weight of cable or rope will work best for you. This will depend on whether you are a season pro crossfit athlete, a newbie or someone looking for an upgrade. If you are new to crossfit and you are just learning double unders it would be easier to start with a thicker cable. This is because the rope turns slower which in turn allows you begin developing coordination to help you on the way to a perfect double under. As you grow in confidence, swapping your rope across to a thinner wire or steel rope will definitely speed up time during your work out of the days or WODs.